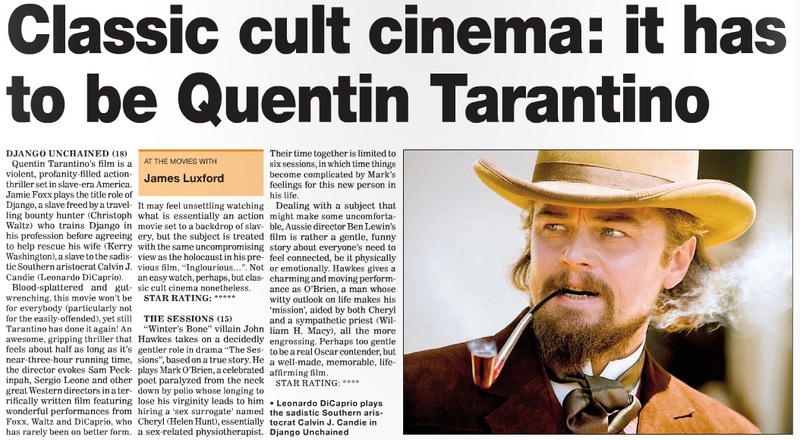 Please click the image above for my article on 25 Years of Quentin Tarantino for Little White Lies, looking at the director’s career since his big break with Reservoir Dogs. 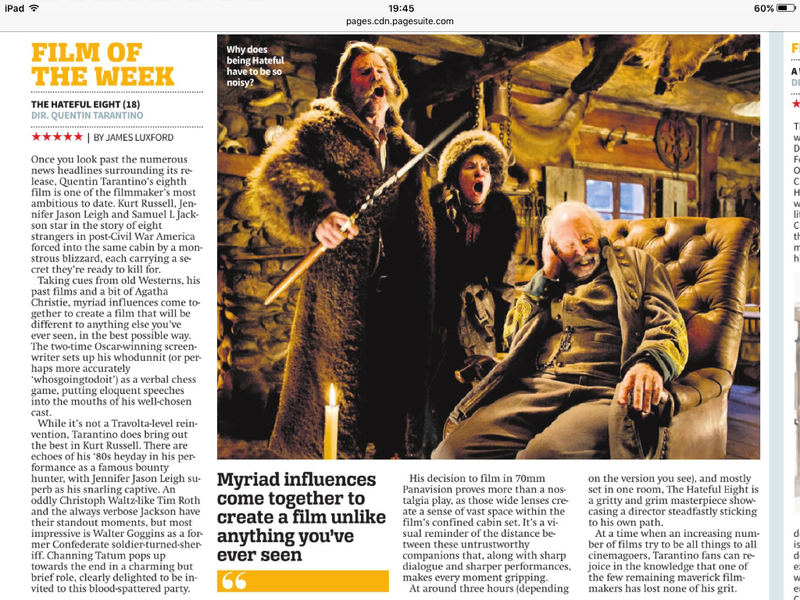 please click the images above and below to read my review of “The Hateful Eight” and “A War” for City A.M. The online version of the review can be read here.